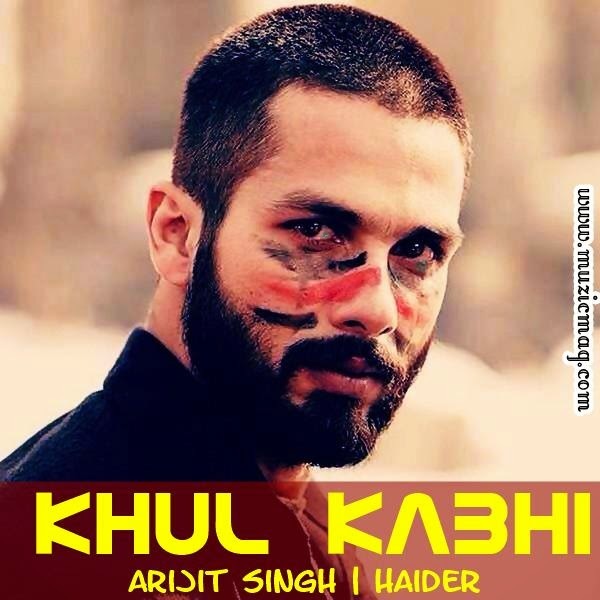 Lyrics of Song 'Khul Kabhi' From Bollywood Film 'Haider' Starring Shahid Kapoor and Shraddha Kapoor. Khul Kabhi is a Poetry in the vocals of Melodious Singer Arijit Singh. Lyrics of Song 'Khul Kabhi' From Bollywood Film 'Haider' Starring Shahid Kapoor and Shraddha Kapoor. Khul Kabhi is a Beautiful Poetry in the vocals of Melodious Singer Arijit Singh. Music of the Song is composed by Vishal Bhardwaj and Lyrics are penned by Legendary Lyricist Gulzar.